Out of the three former Fugees, Wyclef Jean remains the only one with any noticeable musical output in the now-19 years since The Miseducation of Lauryn Hill. Yet like his former bandmate and romantic affiliate, L-Boogie, Wyclef has gone through a period better defined by his legal troubles than his music– namely, the last eight years, in which the Haitian star has failed to release another studio album but sadly received public criticism for his botched charity efforts in the wake of the 2010 earthquake in his home country. By breaking the dry spell and notching another entry in the Carnival series, which emerged fresh out of the Fugees’ heyday back in 1997, Wyclef seems poised to return to form. 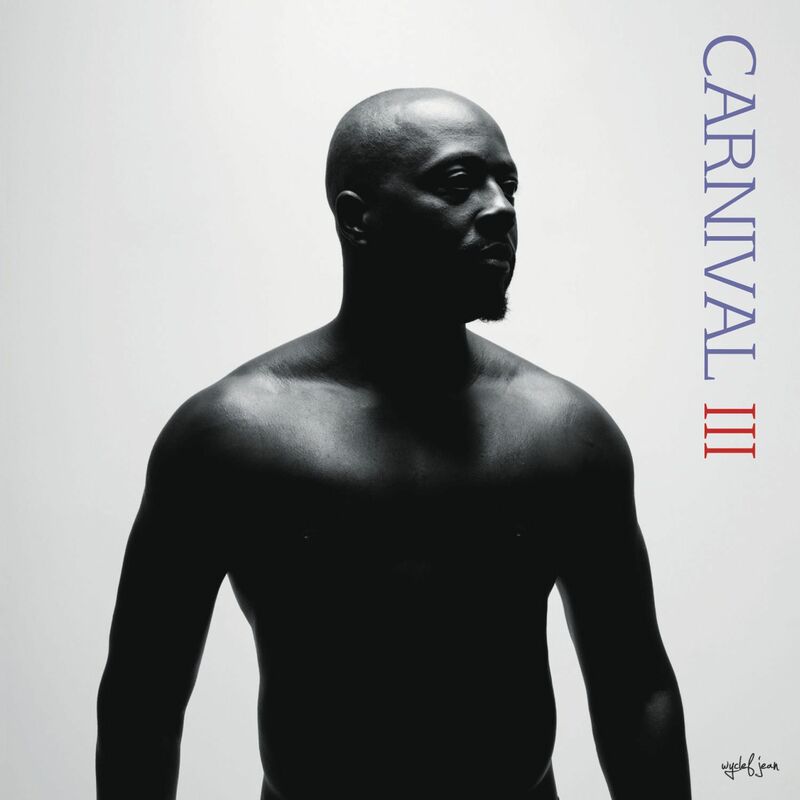 Carnival III: The Fall and Rise of a Refugee (out September 2017 via Heads Music) offers forty-two minutes of splendid music in which Wyclef slides gracefully between his roles as singer, MC, guitarist and social activist in the studio. “My Carnival albums have always been about celebrating music culture from all parts of the world,” Wyclef has confided. “And Carnival III is no different.” The man is an honest soul: like his previous work, his newest LP demonstrates full consciousness between the musical landscapes of the island-nation where he was born and the country he has called home for the vast majority of his years, the United States. Much of the music here has a distinct Caribbean flavoring, especially when Wyclef calls in the chanting and bare acoustics on songs like “Trapicabana,” and invites countryman Izolan to perform a rap in Haitian creole on “Concrete Rose.” Yet the album is strengthened by its American influences: up-and-coming producers like Supah Mario of South Carolina and NYC’s The Knocks inject tons of energy into their tracks, “Fela Kuti” and “What Happened to Love,” which Wyclef wisely debuted this past June as the album’s promotional singles. “Fela Kuti,” named for the late Nigerian musician whose Afrobeat style is replicated in the song’s beat, serves as a super-upbeat party jam which rejoices the good life in which “everyone’s a superstar.” Similarly, “What Happened to Love” has been crafted with the party hall in mind: an infectious electronica beat by the Knocks and a deep-voiced chorus belting the song’s title question make this one of the album’s liveliest, most glorious moments. As a citizen of one of the world’s least affluent countries, Wyclef has made poverty and rags-to-riches tales a constant theme of his music. Carnival III continues that trend from the start, as the singer gives yet another shout-out to “all of my refugees around the world,” and then chronicles the quest for a better life on “Slums.” The setting he paints is a bleak yet hopeful one, detailing the journey of “getting out of the slums and turning our dreams into reality.” This narrative continues on “Carry On,” a downright beautiful anthem in which guest singer Emeli Sandé assures us that it “won’t be long, won’t be long, won’t be long” until their hopes are fulfilled. Perhaps it is a missed opportunity for Wyclef Jean, ever considerate of refugees worldwide, not to specifically address the refugee crises that have emerged across the world, particularly the Middle East, since his last LP in 2009. But to be fair, Carnival III does include references to recent cultural developments, most explicitly on “Double Dutch,” in which Twitter, the Black Lives Movement and Wikileaks are all name-dropped. “In January, he was tweeting ‘all lives matter,’” the spoken word excerpt of the song tells us of a certain social activist. “But in March, he realized how hard it was to tweet when you’re handcuffed in the back of a police car.” A profound observation, indeed. While many will continue to harbor negative feelings toward Wyclef Jean for the flawed outcome of his earthquake relief efforts and the dissolution of his non-profit group, Yelé Haiti, those who are willing to look past these missteps and appreciate Wyclef for his great artistic abilities will find plenty to value on Carnival III: The Fall and Rise of a Refugee. The music here is thoughtful, involving and full of character, reflecting all of the loving craft of an artist who helped found the Fugees almost 30 years ago and has remained active in the industry ever since.